Sure, we could (and do) talk endlessly about the clothes we love, but for our column Line Item, we ask some of our favorite designers to tell us what they think about the best pieces from their newest collections. 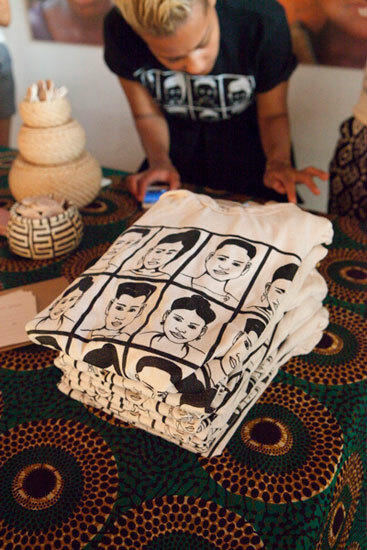 Today, Darlene and Lizzy Okpo of William Okpo tell us about their philanthropic t-shirt with 14+ Foundation. Our friend Jacky Tang from Opening Ceremony, thought it would be great to celebrate more than just fashion during New York Fashion Week. He approached us with the idea of working with the 14+ Foundation, a philanthropic organization that builds schools and orphanages in rural African communities. Jacky saw so many similarities between our brand and 14+ co-founder and stylist Nchimunya Wulf, from our frequent travel to West and South Africa, to our interest on working with children outside of our respective fashion careers. So we decided to stage our Spring 2014 presentation at the Opening Ceremony Sunset Takeover and debut the WilliamOkpo x 14+ t-shirt and tote. The inspiration for the collaboration art came from our travels this year. Darlene and I visited Jamaica, and I took a trip to Senegal. We noticed that all of the children during our travels abroad had such cool style and a sense of fearlessness about them, especially the school kids walking up and down the main roads. We'd also got really into the posters in all the barbershops, which were sketches of cool kiddie hair styles. So we made our own rendition of these iconic posters sketched out by an artist friend and out came the WilliamOkpo spring 2104 print. 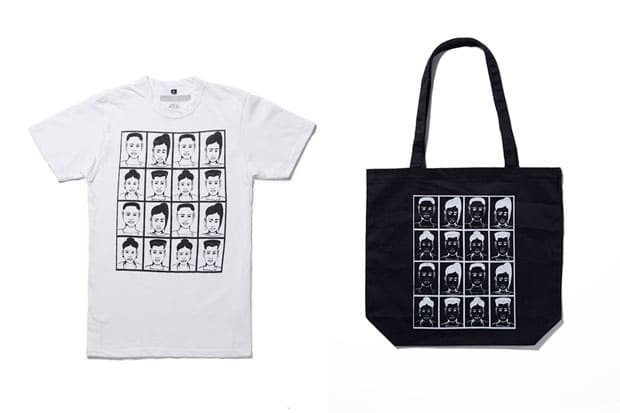 We knew our signature spring print would look great on something simple and always in demand, like t-shirts and tote bags. Darlene and I wanted share our print and help out the 14+ organization at the same time, with all of the proceeds benefitting their first school the Chipakata Children’s Academy in Zambia, Africa.